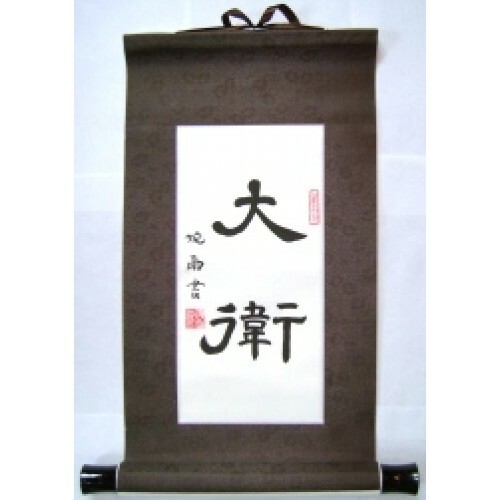 This scroll calligraphy painting is a graceful blend of Chinese and Western culture. 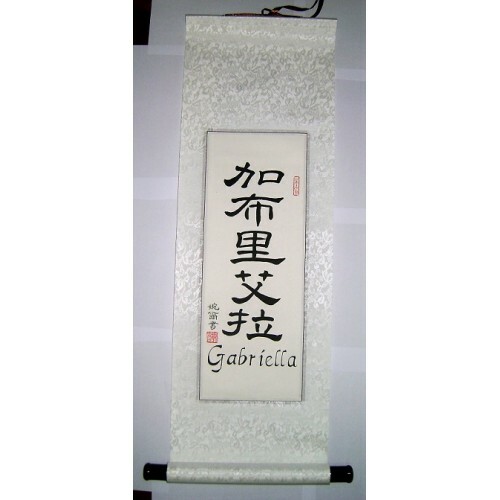 It makes an excellent gift item to commemorate an adoption or to hang in your home as a reminder to pray for the great land of China. Choose a Bible verse for your scroll and then write the reference in the text box. We will use the official Chinese Union Version Bible for the characters for your scroll. For this scroll our artist will also paint an attractive bamboo with butterflies background. The picture is an example, though the actual scroll will likely have more characters on it. The other photos are similar scrolls we have done. 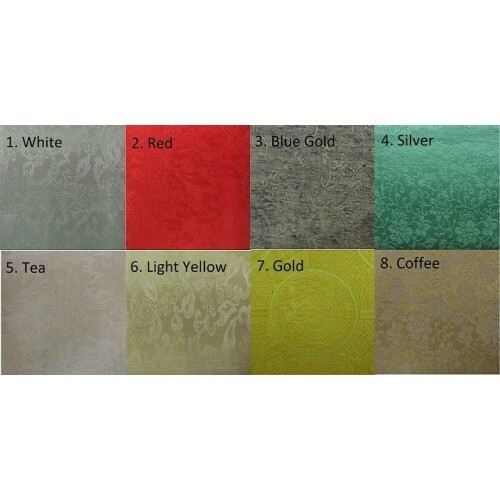 Also you can choose a color for the edging and the size.